Chaparral has a well prepared Golf Academy with highly qualified golf professionals who can introduce you to the exciting world of golf. The practice area includes swing analysis, an extensive 18-hole putting green, bunker area and a wide driving range with natural grass, lighting and 40 tees, half of them covered and distributed on two floors. 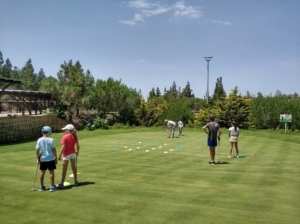 The Academy always adapts the methodology of the lessons to the needs and level of each player, offering private classes, group classes, intensive courses, clinics, children’s school and even the opportunity to play a round with the pros on the course. 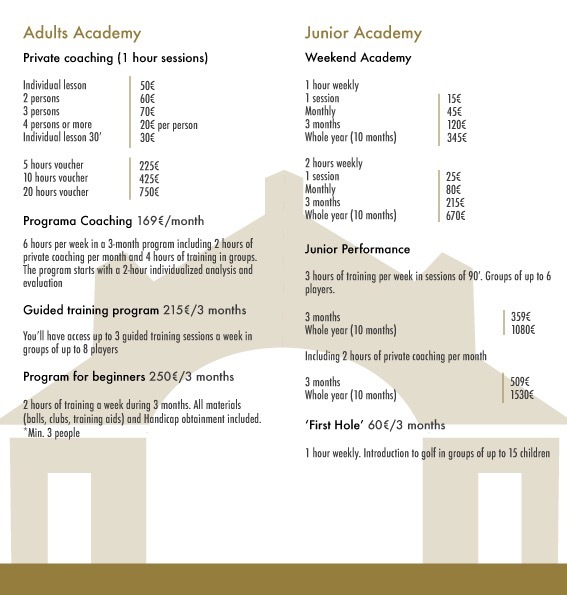 The Academy welcomes all players from beginners to advanced players looking to perfection their technique. Our instructors are the best prepared to provide adequate education to each player. We work with an educational system based on the study of the swings of the great players throughout history and what they teach the best instructors and really makes peguemos big hits. The preparation of teachers is based on continuous work and love for the sport and teaching, “who does not conduct investigations will have nothing to teach.” Continuous improvement along with the satisfaction of our students are two of the fundamental pillars of our school. – Video analysis and comparison with the best players in the world. – The best training aids for greater and faster improvement. 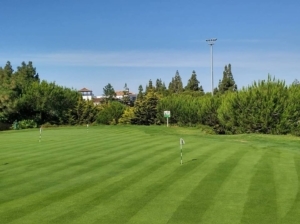 – Great short game area including possibly the best putting green of the Costa del Sol, green and fairway bunkers and approach areas.